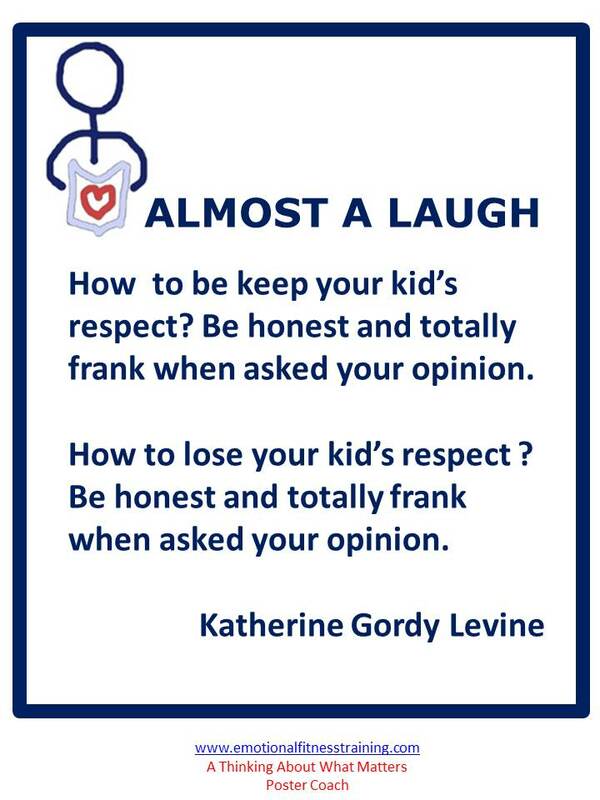 A joke and then some parenting advice worth thinking about. First a rant from my Cranky Old Lady self. Bad enough when the motto was “Don’t listen to anyone over thirty.” Now all the ads are awash with four, five, and six-year-old kids lecturing parents. Sigh. Then, of course there are all the Happiness Parenting Advisors promoting the idea that kids to be emotionally fit and health have to be happy. Not only not true, but not possible. All feelings come and go and that includes happy feelings. Better to teach your kids to be emotionally strong, so they control their mad, bad, and sad feelings. Tip three: Remember what matters, not everything is worth criticizing or praising. So to be honest and frank, I need people to make my 76th Birthday and Bash successful. And here is a way you can involve the kids, if you are a picture taker. Let the kids pick some for the Be With Beauty contest. Better yet, if the kids have some pictures of beauty enter them. You have to join the Be With Beauty Group. If you don’t take pictures or post them, I bet you have friends who do, so share the contest with them and suggest they enter. The party is drop in affair and by joinging the Group: Birthday Facebook Party, the party posts will be saved and you can read them at your leisure. This entry was posted in Self Care and tagged Be With Beauty Contest, Emotional fitness, Emotional Health, Life, parenting, Parenting advice, parenting tips, postaday, Self-care. Bookmark the permalink.